You love the idea of your window treatments going up or down by themselves. You may want the clean cordless look of shades that don’t have those cords making you wonder which direction you pull. You might be wondering if automated shades can help you save energy – and money. Perhaps they can help you do your part to preserve the planet. But you have questions. Don’t we all? 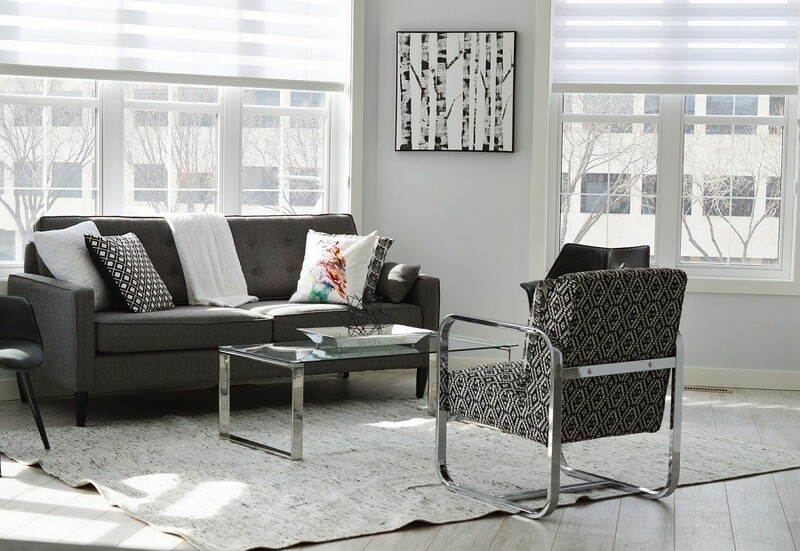 We’ve put together some questions here about motorized shades that we often get from our clients. And since we’re professionals, we’ve got answers. Read on to find out more. These things require power. Do I need to run wires to the windows? No, you don’t, but there are options. There are battery powered shades that fit seamlessly into existing windows. You have the option, if you’re doing a major remodel or new construction, of running power to the windows you want to automate. Typically motorized shades require 12-volt power. If you’re not into replacing batteries, then wired is the way to go. How long do the batteries last in shades? The motors in today’s shades are very energy efficient. Battery powered shades can handle thousands of openings and closings. That means you may only change batteries every 2-3 years or even less. Can I use a smartphone to control them? Yes! Many of today’s shades have bridges which can connect to your home network. There are apps that can control individual shades, open and close on timers, and much more. Can I set scenes so that my shades come up when I wake up or go down with the lights in the living area when I want to watch a movie? Of course. The beauty of motorization and integration with other home automation systems is the ability to manage multiple things in your environment with just a button or two. Can I use voice control to control my shades? Yes! Depending on the system, there are options to integrate with Amazon’s Alexa and Apple’s Siri for voice control. Will I only be able to choose from a limited set of styles and materials? Today’s style options are very broad for motorized window treatments. You will be pleasantly surprised at how many off the shelf options exist. Beyond shades, you can even get smart integration of blinds and drapes. And custom options abound. Do motorized shades really save energy? Yes! For example, Integrated with sunlight sensors in a home automation system, they can automatically close and keep heat out in summer. In winter, the shades can be triggered to open at sunny times of day to warm a room. Can motorized shades make my morning coffee? Unfortunately, no. But we may have some other solutions for you in that vein if you stay tuned. For any questions about motorized shades we didn’t answer here, Contact us today!